2L-05. 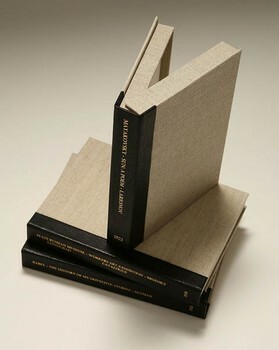 Quarter leather boxes, flat spines. Direct foil stamping with date at tail.